Twin development in the womb will very much mimic the development of a single baby. But, because two babies are growing in the womb at the same time, there will be some key differences. Most notably in the later months. This twin pregnancy week by week guide is provided to give mothers carrying twins a glimpse of their babies' development while in utero. Keep in mind, this is a general guide, so always speak with a qualified healthcare professional regarding any questions, symptoms, or other concerns you may have. Conception of twins is caused by one of a few reasons. You have either ovulated two eggs that have been fertilized by two separate sperm. You are undergoing fertility treatments (in which case, your doctor will have already spoken to you about the possibility of multiple birth). Or, you have ovulated one egg that has been fertilized by one sperm and then spontaneously split in half. You may want to read more about the differences between identical vs. fraternal twins...and even rare mirror image twins. During these early weeks, unless you have an inkling you may be having twins, you will likely be unaware that you have TWO growing babies inside of you. Most commonly, confirmation by ultrasound is the ultimate answer. Although many twin moms will experience heightened pregnancy symptoms, none of them are definitive of twins without a sonogram image to proove it. 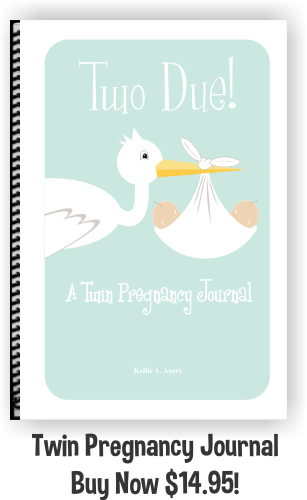 Once you have confirmed you're expecting multiples, take advantage of our helpful guide and use it like a twin pregnancy calendar to see just what's going on in there! From week 4 to 8 your tiny twin embryos will each grow from around 3/500 of an inch to around 1 inch long and weigh less than an ounce each...Like a little bean. Their brains, bladders, kidneys, livers, spines, reproductive organs, arms and legs are all starting to develop, as well. 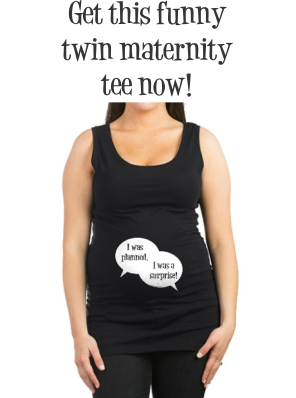 Amazingly, around 6 weeks, twins are usually visible via ultrasound. Be sure to check out our extensive gallery of twin ultrasound images! 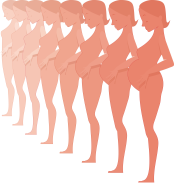 From week 8 to 12, the last month representing the embryonic stage, your twins are swiftly progressing in their development They will have quadrupled in both length and weight. Even during these early weeks, it's fascinating to know that their teeny nail beds are starting to form along with the buds for their baby teeth. They are distinctly human at this point with the most miniscule fingers, toes, genitalia, and eyelids! At this early stage of pregnancy, even with twins, your symptoms will likely be very similar to those of a singleton pregnancy. Though, you may experience heightened symptoms like mentioned earlier. The most common being, fatigue, appetite swings and/or nausea (with or without vomiting) and breast tenderness. Generally speaking, women who experience a twin pregnancy as a consecutive pregnancy with a singleton, may well be more "in tune" with particular signs. Go Right to Labor and Delivery! Join the conversation. We love to hear from our readers! 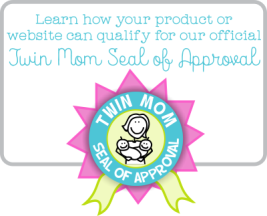 Here is another great Twin Pregnancy Week by Week guide to check out.